Alright, this is already making the waves over my Twitter, YouTube and the BS Zelda forum, let’s get this out here too. This is basically a BREAKING NEWS ROM dump here. Once again, sanmaiwashi got this 8M and skaman from no-intro sent it to me. But let me tell you, I was curious about this ever since it clicked on me that the episode 3 data was not complete with episode 4 being a mere week from broadcast. I REALLY wanted to see how things changed each episode, and… wow, some of this is interesting. Let me copy paste some of what I put on the BS Zelda Homepage forum thread on this. 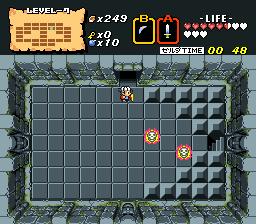 Level 5 is pretty similar to how I remember, except that when you feed the bait to the NPC, instead of flickering away, he just poofs out suddenly. Level 7… ohhhh, dear is this one interesting. Let’s show some screens. What is THIS eartly graphic? My livestream audience immediately shouted “Poison room!” though it seems it may use the same tiles as the lava that would be there later… or… I dunno. Whatever it is… WEIRD. All the rupees in the secret rooms are off-center! AI behavior that screenshots can’t show well; Double Patra is a LOT more aggressive. The duo can zoop around all the way to the edges of the screen and I swear it’s almost like their movement is random! THIS version of the boss is SCARY. 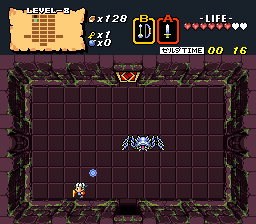 Right before Level 7’s boss room… a red bubble room! What makes this TERRIFYING? 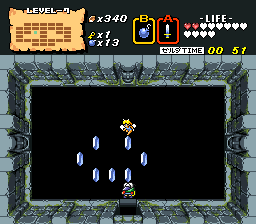 When you take the stairs to this room, you immediately spawn a mere TWO TILES TO THE RIGHT from one of the bubbles. You can get hit by one ALMOST IMMEDIATELY WHEN YOU ENTER, and you can’t defeat the ep. 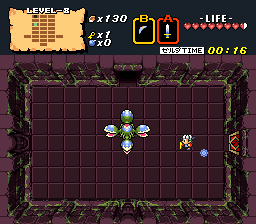 4 Aquamentos without a sword, so you gotta go back through the stairs to the nearest room with a green bubble – which ALSO has a red bubble AS WELL AS blade traps. peaking of which, that Aquamentos is kinda buggy – instead of going from green, to blue, to red, he goes from green, to red, to green again. The shot pattern also seems different somehow but my memory is fuzzy there. 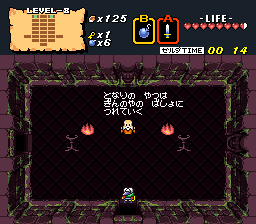 I was able to find the Red Candle in Level 7 and the Silver Arrow in Level 8 much like expected, which makes me wonder why I can’t cheat to get them. I was not quite expecting a regular Manhandla. A plain, ol’, Vanilla Manhandla. So does that mean the next room is a plain ol’ Gohma? Nope, it’s a blue Gohma! But… there’s just one! Man, considering how it seemed like the earlier level 7 was designed by an utter sadist, this level 8 feels anticlimatic in comparison! also, BREAKING: LuigiBlood has tested the music/SPC hacking. There is ONE TRACK missing…. … Okay, let me just link the ROM already! 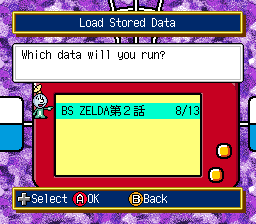 I need more ROM hackers in on this.